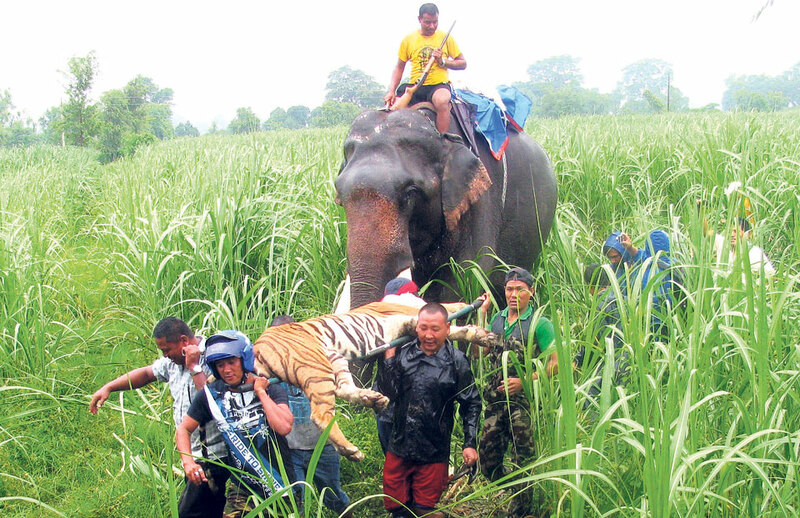 CHITWAN/MAHENDRANAGAR, July 29: Tigers don’t recognize boundaries nor are patriotic. They are wild and for them jungle is their home - be it Nepali or India. Officials at the Chitwan National Park (CNP) say that it is common among wildlife on both sides of border to travel across the borders. “Tigers are wild animals. They are not bound to human made borders,” said Baburam Lamichhane, a senior officer at the CNP. Tigers are considered one of the rare wildlife species in the world. With their habitats shrinking, conserving this rare specie is getting more and more challenging, according to Lamichhane. He stated that it is important to conserve jungles to safeguard tigers and other wild animals. “The population of tigers in the world is very less. 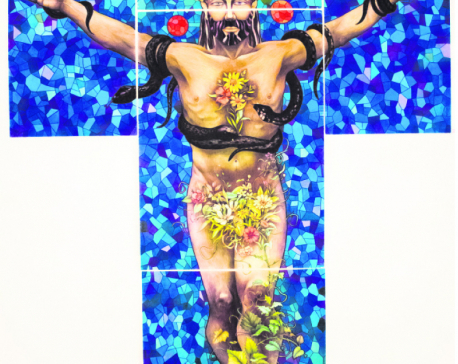 So, we must make efforts to protect them,” he said. “When trees are cut down or urbanization expands wild animals like tigers loose their habitat,” he added. Tigers travel across the jungle in search of food and it is essential that the ecosystem has other wild species to keep the ecosystem cycle running, officials assert. While tigers kept in captivity are provided food by concerned authority, those which are in jungles are often deprived of food, if there is a scarcity of animals in the jungle, they say. “Tigers prey on animals. If the area that tigers wander don’t have wild animals that they can hunt, they are forced into starvation. And it is for the sake of finding food, tigers need broader jungles where they can find their prey,” Lamichhane said. National park officials record the movements of these animals across the border. They continue to wander across the jungle and a tiger on the Nepali side could wander into Indian jungles for months or years, Lamichhane explained. “It’s the same for tigers that are in the Indian jungle. They come and stay here as long as they want. There are no restrictions in place for controlling their movement on either side of the border,” he said. A man eater tiger was captured in 2013 from Triveni of Nawalparasi district. Though it was not known that the tiger had been frequenting across the borders - later park authorities had reached such a conclusion by analyzing their own tracking data and that provided by the Indian authorities. Unfortunately, the tiger died while in the park’s captivity. However analysis of its movement brought it to the fore tigers frequent across the border into the Balmiki Tiger Reserve of India. “Tracking data reflected that the tiger had returned from India just days before we took it into captivity. Tracking mechanism and cross-border cooperation between authorities help us in protecting the rare species,” he added. He further stated that even other wild animals - elephants, boars, and rhino - frequently travel across the borders. “The border of our park and that of Balmiki Tiger Reserve are actually very near and connected. So wild animals frequent across the border as it gives them access to a broader habitat,” he noted. Nurendra Aryal, information officer at the CNP, said that most of the crossings take place around Thori, Madi, Triveni areas and added that authorities on either side of the border put equal efforts in protecting them. He added that increase in the number of tigers in CNP has helped in growing their population in Balmiki Tiger Reserve also. Tiger’s population is flourishing in the Shuklaphanta National Park. A report published by the National Trust for Nature Conservation on Saturday marking the World Tiger’s Day shows that the population has grown by 2 than the previous year totaling the number to 17. Of these nine are male and eight female. While expressing joy over the growth, the park’s chief Anil Prasai said that protecting the rare animals from poachers remains a major challenge. According to a census conducted in 2013, there were 198 tigers in Nepal.